I first made this salad following the recipe in The Zenbelly Cookbook. The second time, I switched out the champagne vinegar for balsamic, and the almonds for walnuts. For me, it had more of a flavor punch. Next time, I would leave out the prosciotto, or add pieces of ham. And ripe pears can be substituted for persimmons. You can improvise on whatever ingredients you prefer. 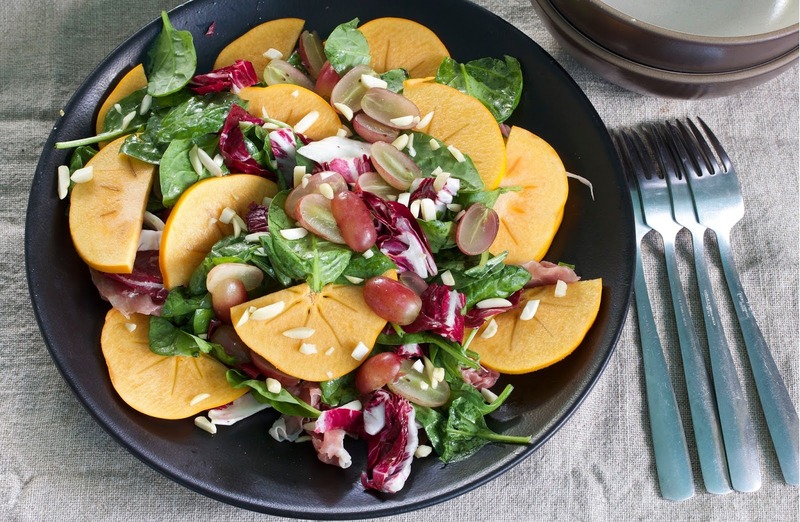 Just the basics will provide a crisp, refreshing and colorful fall salad. 1. In a medium bowl, whisk together the vinegar, mustard, honey, salt and pepper. 2. Slowly drizzle in the olive oil, whisking constantly. 3. Stir in the chives. Taste. Note: Store the extra dressing in a glass jar in the refrigerator for up to 2 weeks. 1. 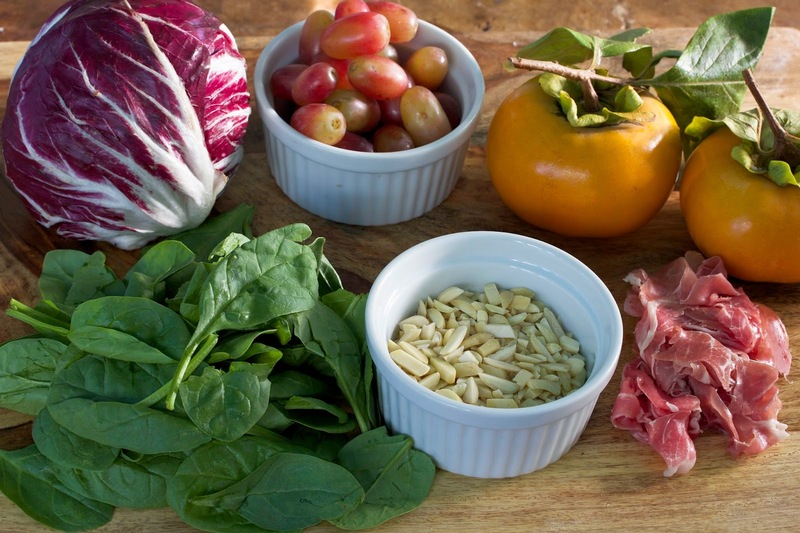 In a large salad bowl, combine the prosciotto, radicchio, spinach, grapes, persimmons, and nuts. 2. Add 3 - 4 tablespoons of vinaigrette. Toss to coat all ingredients.